Bonus points if you caught sight of the girl chasing her runaway skateboard in the background! 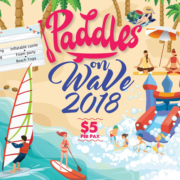 People’s Association (PA) is organizing its 2018 Paddles on WaVe event, and SURFSET Singapore is going to be there! We were actually part of the line-up two years ago, remember? No? See what went on at PA Paddles on WaVe 2016. Paddles on WaVe is a one-day event with lots of sand-and-sea fun, described as “a combination of water and beach lifestyle sport carnival”. To be specific, it’s PA Water-Venture East Coast who’s organizing this event. Yep, we’re all sunburnt from being out in the sun the whole day. We had a great time with all of you guys out by the beach on Sunday! In fact, we had so much fun we had a video made to remember the day! See how much fun we all had, watching airplanes and getting fit. We’re hitting the beach! Again! 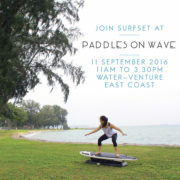 This time we’ll be out at East Coast Park for an upcoming event, Paddles on WaVe. Are you ready for a relaxing day chilling by the beach? You could be having fun with stand up paddling, ZORB balls, and SURFSET Fitness! Okay, maybe replace the “chilling” with “sweating”. That’s how we like it too! Paddles on WaVe is a one-day-only, fun-filled event organized by PA Water-Venture, where you get to try out six different lifestyle beach sports at a price of only $5. We came, we saw, we did yoga poses on our boards. It was an absolutely fantastic day with the haze in remission and the sun nice and bright on the beach. 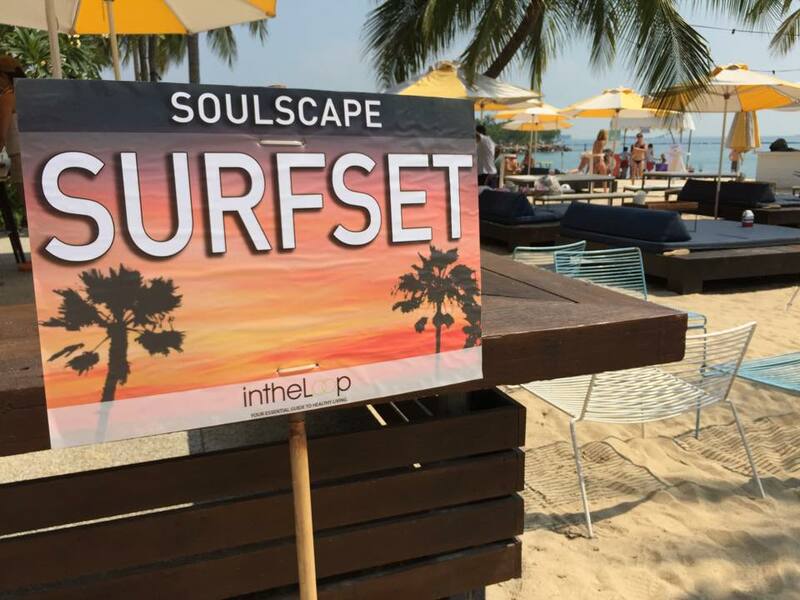 Soulscape 2015 was held early today, and it was early today when we dragged our boards over to Tanjong Beach at Sentosa to join in the fun and festivities of this yoga event. It’s not our first time at Soulscape. We were also here for Soulscape 2014 and we had a great time, so, we thought, let’s do it again! It’s the new, 2015 version of our favourite Yoga event! Favourite because it’s at the beach, and also because we had such a blast at Soulscape 2014 last year! 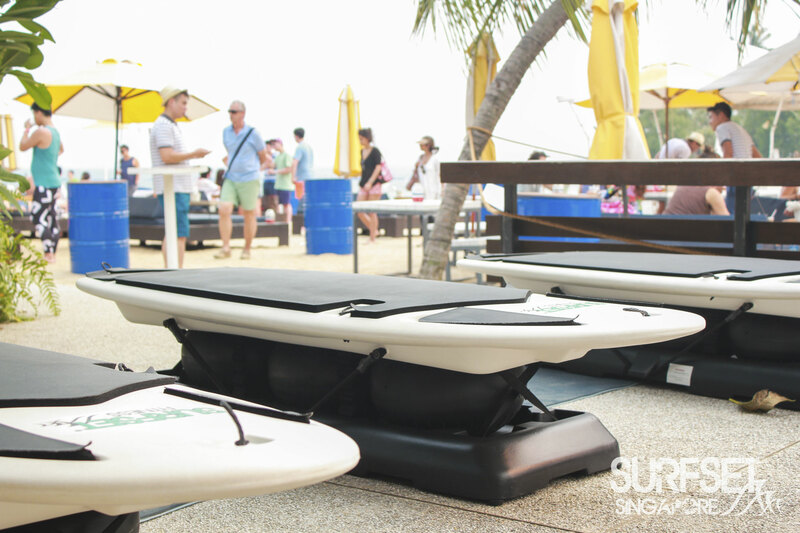 After having such a great time last year, we couldn’t say no to bringing our SURFSET Fitness boards down to Sentosa again this year. This year’s event features an even wider line up of yoga names, or Tribal Leaders as they like to call it. There’s Cristi Christensen, Daniel Rojas, Amanda Koh, Theresa Shan, just to name a few. Expect music and sound from prominent names like DJ Doopz and Clara Chua. And it’s not just a yoga event – there will be plenty of other activities such as healing, dance, and of course, SURFSET! 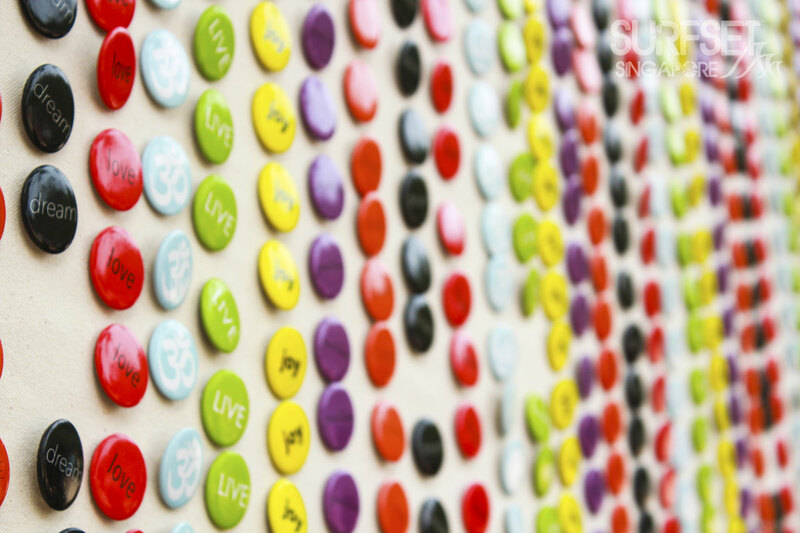 We’re listed in the page – see here! 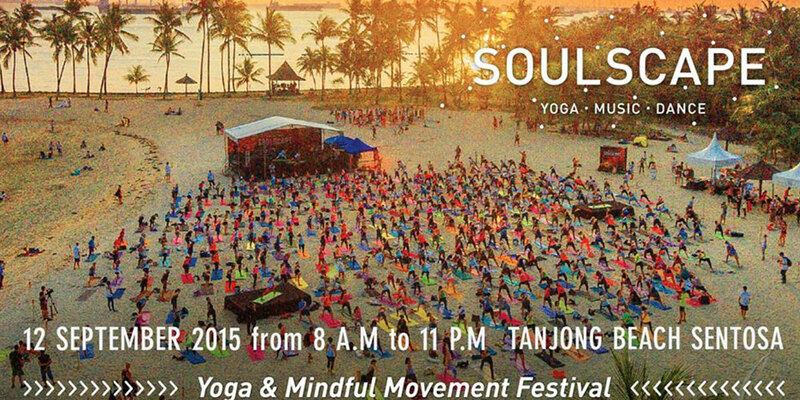 Soulscape is a yearly yoga festival held at Sentosa… Lots of lithe hot bodies stretching and sweating by the beach? Sign us up!